You’ll notice that the comment form now says that you can use Markdown in your comments, and Janet asked “so what’s Markdown?” It’s a text-to-html processor that gaining in popularity that WordPress supports. It helps you with things like text formatting (boldface and italics) and links, because you don’t have to code all the HTML tags. The definition for the language is here, if you want to have a look. 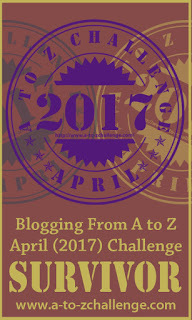 The Blogging From A to Z April Challenge starts tomorrow. I’ve got my posts set for 7 AM Eastern each morning, so look for them. I’m featuring words that have an X in them, if you hadn’t heard. I’ve got the first couple of weeks worth of posts written, so I’ll still have time to keep up with everything else I do around here. Yes, I’m crazy, and no, I don’t care who knows it. Here’s the summary for the week. I did two SLS series entries this past week: “Minute By Minute” by The Doobie Brothers, and since that was a little too easy, “Twenty Four Hours From Tulsa” by Gene Pitney. Monday was my birthday, and I celebrated by featuring more artists who have birthdays in March. There are quite a few, as I learned. Saxophonist Kirk Whalum was the featured artist. I chose part of the soliloquy that James Earl Jones spoke toward the climax of the movie Field of Dreams, in honor of the start of the baseball season, which started Thursday. I participated in Laura’s weekly song challenge again this week. I talked about the time I flew with an upper respiratory infection. It was agony. We visited KRBE in Houston, Texas and played their Top 10 from 1977, which had surprisingly little disco on it. The A to Z Challenge starts tomorrow, as I mentioned earlier, so there will be a lot of posting this week, since I’m going to try and keep up with my usual posting scheduler. There’ll be a Battle of the Bands tomorrow, as well as Monday’s Music Moves me, and all the other regular features will be here. I look forward to seeing you when I see you! Your A-Z challenge sounds truly challenging! Oh what fun! Happy belated birthday and cheers to the beginning of #AtoZChallenge. X marks the spot and I am definitely intrigued. Silly question, since there is no daily list, is there another way to pingback? It is only year two for me and all I ever knew was the daily list. We’re not doing pingbacks this year, but I don’t think people will mind if you pingback to the daily post on the A to Z blog (http://atozchallenge.wordpress.com). I know I won’t. You are an inspiration to us all, John. Having said that, I’m ready (I think) for A to Z but already having second thoughts about my theme (is it too boring? Will I sound like a travelogue? Will anyone care? 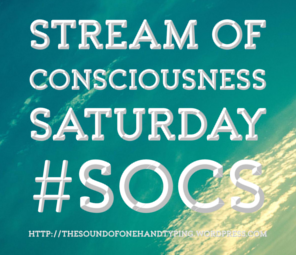 Can I keep up with visiting other blogs?” My posts will post just after midnight. I have to live up to my rep (Xmas Dolly) of being the “early bird”. The Challenge is meant to be fun, so if you feel like you need to adjust (or go running off in a completely new direction) after a couple of posts, go ahead. As for visiting other blogs, the best advice I can give is to visit the bloggers that visited you, and maybe go through their commenters and visit them. A lot of people I follow are already A to Z’ers, so I visit them, too. There’s no way, with as many people as do the challenge, that you’ll visit all of them. I think the list of suggestions says visit theb people around you on the list, maybe three before and/or three after, but again, don’t make yourself nuts. The more old commercials you watch, the more Buster keeps popping up. He was a real character. John, do you have any tips about reading so many of the A2Z? I see there are over 500 participants! Tip #1: Don’t go crazy trying to read every blog. Do as many as you can. Stop when you start going cross-eyed. What I usually do is visit the people who visit me, then the people that visit them, maybe even going a couple of layers after that. Not everyone who reads is necessarily doing the challenge, but sometimes their followers are. You could also work off the master list or the theme reveal list. A few of your followers might be doing the challenge, too, so visit them. My posts will usually be available at 7 AM Eastern (US) time. It’s out there now. Thanks!